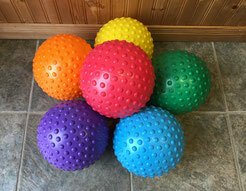 These balls are tactile, yet very durable. Inflate as much or as little as you like to make them either more “grip-able” or more firm that that extra bounce. 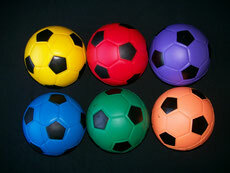 This tactile, east to grip ball has little indented triangles that make it easier to catch. 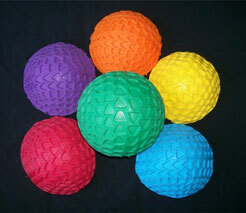 Another durable ball that is ideal for both indoors or out. 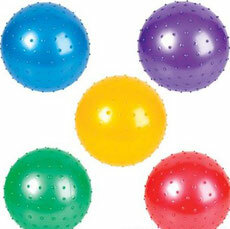 These easy to blow-up balls come with their own straw. Soft, textured surface. Compact and perfect to be taken on trips. Nice and light, and just the perfect size for a classroom. 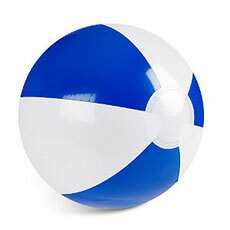 Ask us for the list of activities to make this beach ball the perfect tool to get your students active for DPA. Softer & Safer than a regular soccer ball. This is ideal for younger players or for crowed playgrounds. The rainbow colours make playing soccer fun! Soft & Safe; perfect for a Nerf or Nuthin Playground. 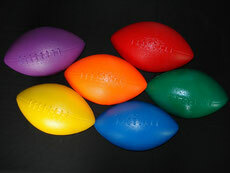 These footballs are a “regular-size” nerf-like football. To place an order please download the order form below. Once you have completed your order form, please email it back to us. Orders received within regular business hours will be replied to within 24 hours.